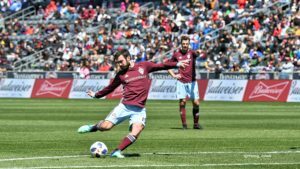 Colorado secured their second win in a row at home and remained unbeaten in their last four matches of 2018 Saturday afternoon. 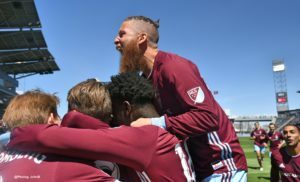 Midfielder Jack Price scored a cracker from distance in the second minute, then held down Toronto for the second straight home shutout. “That’s the beauty of our team and our coaching staff that after every game they analyze every situation. They’re very tactical and very smart. We work on those things. Every week we’ve been improving and today it shows,” Midfielder Enzo Martinez told The Voice of C38 postmatch. “We struggle with closing games out and that was a big focus this week, especially when we go up 1-0 and the game is getting tight. The mentality from everyone is we have to close this game out, we have to do whatever it takes,” explains Martinez on the fact that the players know they can’t let up even for a minute.